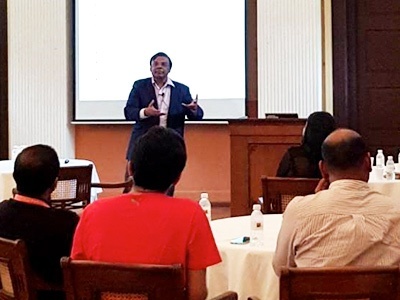 On 31st March, Somashekhar N S (Adjunct Professor, SP Jain School of Global Management) held an EMBA Talk titled “21st Century Skills for Business & Leadership (Disruptive Innovations)”. 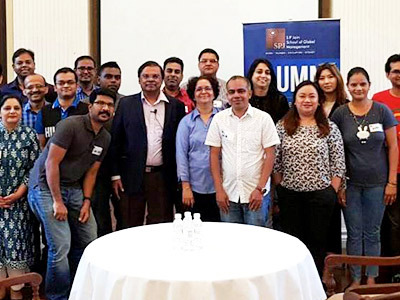 The talk was part of the EMBA Executive Career Acceleration Program (ECAP) and was attended by our current EMBA Students and Alumni. During the talk, Prof Soma shared what technology entrepreneurship is and explained the key drivers for global economic growth - jobs, skills, source of funding, value propositions & business models. The session helped participants differentiate between an idea and a viable opportunity to create and grow high-impact start-ups, aka Unicorns and examined the importance of entrepreneurial ecosystems and innovation clusters around the world.